With one product allowing over 27 quadrillion possibilities, the ability to personalise every piece of furniture is what makes The Dormy House so special; that and the fact every piece is UK-manufactured and they have an unwavering dedication to customer service. With no physical shop and a huge focus on exceptional service, the primary goal was to generate more conversions through an upgraded user experience. It was also crucial that the site simplify their internal workflow, especially when it came to uploading products and managing customers. 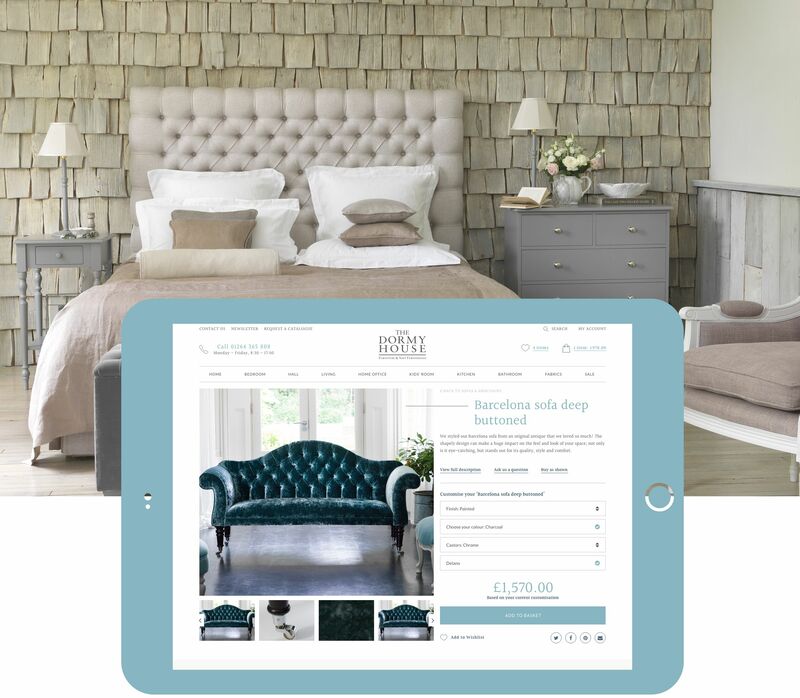 The final aim was a highly functional and responsive site to reflect the values, direction and personality of The Dormy House, increase conversion and drive growth. But equally important was the quality of partnership – a strong relationship to carry things forward. The project’s biggest challenge – and success – was the creation of functionality around modular furniture. By completely rethinking the design concept with modular systems we delivered a process that allows customers to easily visualise and select their bespoke furniture. Integrating a shop platform to reflect the values, approach and journey of the user makes the whole thing easy and enjoyable for the customer. 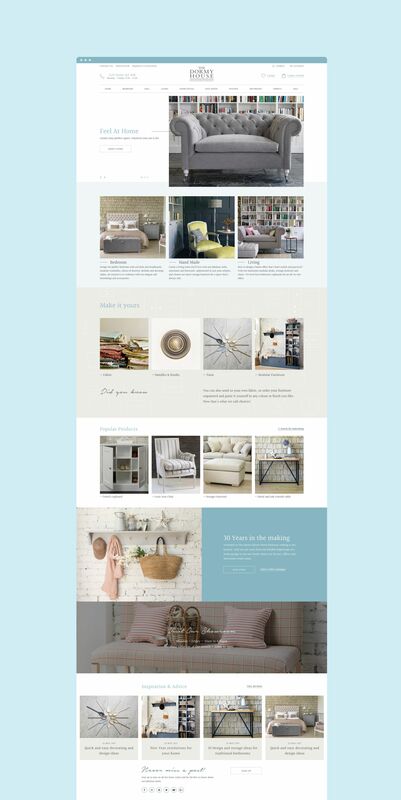 Woven into the build were features to support customer tracking, brand enhancement (video, marketing, content and images) and enhanced product stories to reflect the values and the dedication to each piece. What we delivered was more than just an improved UX and slicker website. We completely revised how customers experience The Dormy House.